If your company has never hosted a hackathon, you might think it’s nothing more than a bunch of tech pros sitting around a table for hours at a stretch, banging out code while eating their weight in pizza. Fortunately, hackathons are so much more. Hackathons offer a host of benefits for companies, including the chance to recruit top talent, explore new pathways to innovation, and improve in-house software. As a result, they’ve grown steadily more popular. Facebook is a good example of a tech company that has fully realized the potential of the hackathon, having hosted 50 internal ones over the past decade; employees come together to transform vague ideas into actual proofs-of-concept, often leading to real-world products such as chat tools and even a mobile-ad platform. The great thing about a hackathon is that it brings together a lot of brilliant tech pros to demonstrate their skills. That’s a great way to gather and review a lot of talent in a short period of time. If you treat the hackathon as a pre-screening for an open position, you can potentially find exactly the employee you need. Let’s say your company has just built an incredible new product, and you want to raise the tech industry’s awareness of it. While a traditional marketing campaign is probably part of your outreach mix, you can also rely on a hackathon to effectively place your product in the hands of people who can spread the word about its benefits. Since hackathons are all about building products and solving problems, offering up your latest technology or API as a tool for developers is a good way to show off how it works in a real-world context. What better way to build up buzz? When IBM wanted to promote the artificial-intelligence capabilities of Bluemix, its cloud-infrastructure service, it leveraged a virtual hackathon. Using social media, it made 160 million people aware of the event; then it placed its artificial intelligence technology in the hands of 2,173 teams (formed from 5,520 registrations). More than half of those participating were experienced developers. 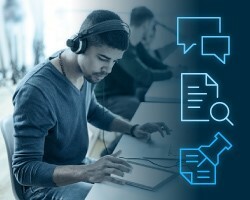 Via this channel, IBM Bluemix was able to place its tools in the hands of those likely to use it, increasing awareness and (potentially) adoption. Among all their other skills, tech pros are good at isolating particular issues. Companies realize that fact, which is why more of them are turning to crowdsourcing avenues such as “bug hunts” in order to discover what in their tech stack needs improvement. Hackathons are another way for a company to build bonds with developers that will hopefully last for quite some time to come. Think of it this way: a developer who participates in a company hackathon is more likely to contribute the next time that company reaches out for third-party input on an initiative or problem. Modern hackathons can also cover everything from machine learning and artificial intelligence to Big Data and robotics. That offers companies a sizable opportunity to see how developers approach some of the most interesting challenges in technology, which is potentially a huge innovation booster. If you do it right, a hackathon is a great way to spot new talent, and have that talent contribute materially to a company’s broader aims. In the ultra-competitive tech industry, that’s a potential advantage that anyone would pursue.